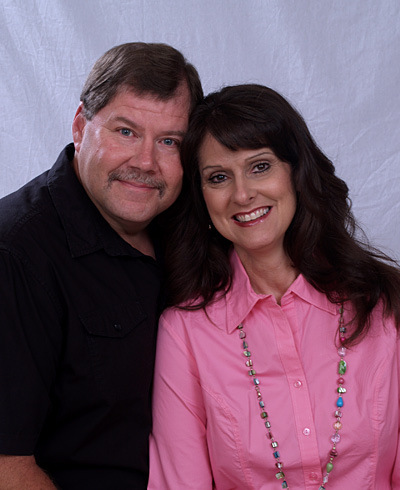 We’re Mark and Monica Kuykendall and on behalf of our class, we would love to invite you to become a part of the Koinonia Couples Class. Koinonia means “fellowship.” As a LifeGroups class, composed primarily of couples, we enjoy fellowshipping with one another with Jesus being our central focus. We range in age from about forty to sixty plus years of age. We start each class as a large group Bible study time and following that we break into small groups and have a more personal discussion. The format for the class study varies from watching different video series to studying different books of the Bible. Currently we are working through the Book of John. We encourage class discussion and participation during the lesson. Our class goals include: learning practical and applicable ways to live out our Christian walk so that we may be a light in this dark world and to grow in our faith and know Him more intimately. It is our desire that our classmates would enjoy our time together and encourage one another along our Christian journey. Within the class we have a ladies ministry that gathers our ladies for different activities, which always include food and laughter, our men’s ministry meets on a regular basis for fellowship, usually over a meal as well as couple fellowships. If you like to eat and love Jesus, you will fit in perfectly. We also have “group leaders” that help us minister and attend to the needs of the class. Please try us out in the fellowship hall at 9:15 on Sunday mornings. Also “Like”us on Facebook: Koinonia Couples Class or visit our class website at: Koinonia.whbcclass.com.